It is becoming increasingly important to gain valuable experience and develop skills beyond the borders of our own home country. Our Wildlife & Community Projects are perfectly suitable to do your internship. Due to the focus on learning, experiencing and assisting in a practical and hands on way, our projects add great value to your career and personal development! Doing your internship abroad will give you the opportunity to be exposed to different mindsets and methods, it develops creative thinking and problem solving in an unfamiliar scenario. And helps you develop skills to work in a team with people with various backgrounds. This stimulates us to broaden our own views and expand on a personal and professional level. All the project leaders and staff at our projects are dedicated experts in their field. They are experienced in supervising and mentoring students and have great enthusiasm to share their knowledge, experience and passion with you! You’ll find detailed information regarding our Wildlife & Community Projects including a comprehensive programme description on our website. Your school, college or university may have set certain requirements regarding your internship and we would like to invite you to contact us to look into the possibilities. You could choose one project to do your internship, or we can create a programme consisting of two or more projects according to your personal interests and requirements of your uni. The programme costs are similar to those when joining as a volunteer. We assist with internship contracts, assessments and visa’s where applicable. 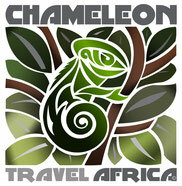 We are excited about helping you kick start your career with an awesome internship in the African bush! Originally from The Netherlands, I (Linda) came to South Africa in 2003 to join various wildlife projects, after successfully rounding off my social work studies. The experience was mind blowing and I soon returned to work as a project assistant at one of the projects for the duration of one year. We search daily for new opportunities... so watch this space!